With frontman Lance Hahn always at its core, J Church began in San Francisco in 1992. The original lineup was completed by bassist Gardner Maxam (who was in The Sharx, and played with Lance in his previous band, Cringer) and drummer Aaron Olson. The group was named for the San Francisco Muni Metro line that Hahn took down Church Street to work, as well as to band practice in the the early days. Through the years, Lance was joined by a vast array of musicians in an ever-evolving J Church lineup. 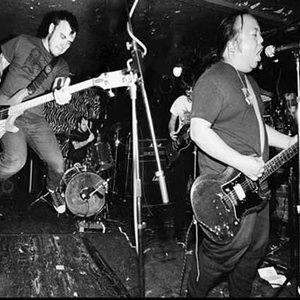 The group was named for the San Francisco Muni Metro line that Hahn took down Church Street to work, as well as to band practice in the the early days. Through the years, Lance was joined by a vast array of musicians in an ever-evolving J Church lineup. Lance Hahn was also a punk rock history writer, writing many pieces for Maximum Rock 'n' Roll, the San Francisco music zine. Additionally, he also found time to run Honey Bear Records and work on a book compiling various writings on anarcho-punk bands. Lance Hahn passed away on October 21, 2007, aged 40, after falling into a coma nine days earlier due to complications from kidney dialysis.